Ellen began dancing at a young age and spent 7 years training at the Australian Ballet School where she performed with the company on several occasions. 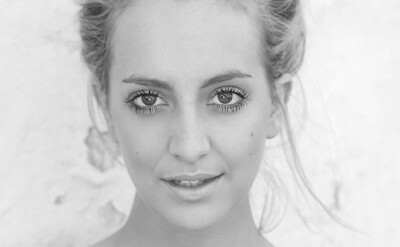 She also studied Musical Theatre at Centrestage Performing Arts School with Ian and Leanne White. She then furthered her intensive studies under the direction of Robert Sturrock in Melbourne and more recently continued her training in New York City. Most recently Ellen played the role of Angel in the critically acclaimed Australian production of Rock of Ages (New Theatricals) for which she received a Green Room award for ‘Best Ensemble in a Musical.’ Ellen has performed live on stage with ‘Barbie’ (Mattel) in Dubai and has toured nationally with Michael Boyd in WFOM, Cabaret de Paris and Mystique (M2 Productions). Ellen has taken part in many corporate events, fashion shows and was a NRL Melbourne Storm cheerleader. Television credits include: The Footy Show Grand Final, Neighbours and Shaun Micallef’s Mad As Hell. Ellen is thrilled to be a part of the timeless story that is Wicked, as it’s truly a dream come true. She would like to thank her incredible friends, mentors, family and agents (IWM) for their unwavering support. She is dedicating her performance to her one of a kind mum and dad.